The weeklong camp will teach a variety of skills, from orienteering to bowhunting. Unity College is offering anyone willing to pay $600 the chance to learn survival skills in the event of a zombie apocalypse. The environmental education college located in Unity has posted a description of “Zombie Survival Camp” on its website. The summer camp profile starts off by asking interested parties a question: Would you survive a zombie apocalypse? “Get ready for the best week of your summer at the Zombie Camp! Blending the angst of surviving a zombie apocalypse with real-life educational components, Unity College presents: Zombie Survival Camp,” the college says. According to the summer camp description, participants who agree to pay the registration fee will receive five days of meals and lodging and will be taught orienteering and wilderness skills, firearms and bowhunting skills, and meal preparation, among other things. “You will work as a team to coordinate objectives, while evading and escaping oncoming zombie hordes,” the camp site promises. 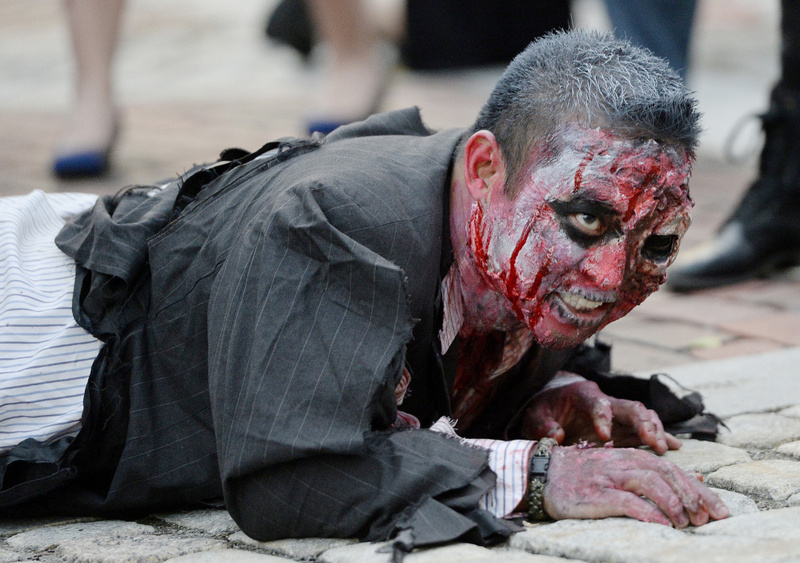 Zombie Survival Camp will run from July 16-July 20. Campers between the ages of 11 and 17 are eligible to attend. Unity College is also offering a wizarding adventure camp that will feature broom flight class, a class that involves the use of a rock climbing wall; care of magical creatures including reptiles, birds and mammals; and learning to make potions (cooking with wild edibles). Wizarding camp will take place July 16-20. For more information about the camps or to register go to: summer.unity.edu.